Uploadorb.com , Filekeen.com and few other sites are blocked on some networks (Broadbands too) or some ip ranges. As ShareSpark uploaders prefers these sites for file storage , but due to this blockage all uploaders and downloaders were having problems. But there is a simple easy trick to get these sites work on your network. 3. Right click on your modem and click "Properties". 5. 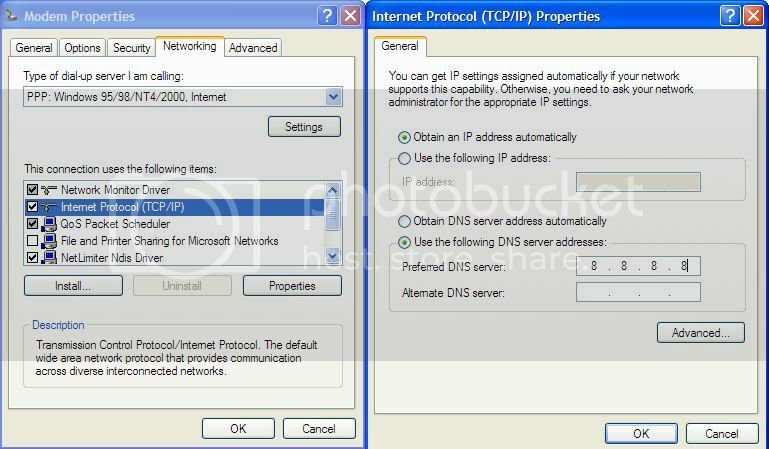 Select Internet Protocols(TCP/IPv4) and "Properties". 6. Add 8.8.8.8 in first DNS. Fill in both preferred and alternate DNS server. Windows 7 me kaise hoga. Avi same procedure for windows 7 too. Ok, i'll and tell.. Btw "THANKS"
its permanently shut down. Thats why its not opening. shayad kar jaye. reliance ne bhi jumbofiles aur uploadorb ko ban kar diya hai. uspar to kaam karta hai. the trick is not working...........plz tell me some other ways. use broadband or what ? im using airtel broadband how to do this trick in windows 7?? A Bad News About Jumbofiles and Uploadorb.com ! Page created in 0.496 seconds with 46 queries.